Be it a three-course meal, a casual backyard BBQ, cocktails and canapes or a fun pizza party there has never been a better excuse to get your nearest and dearest together for a meal. Download our host kit to get more inspiration and a step by step guide on how to get your Big Dinner Party underway. Big Dinner Party hosts can accept donations from each guest on arrival, and then have some fun on the night by holding a raffle, auction, or through some fun party games. All of the donations made at Big Dinner Parties across Queensland go towards funding important research programs into better treatments and ultimately a cure for MS.
Getting involved is easy. Simply register to host, and we’ll be in touch! We’ll also send you a host kit with everything you need to make your Big Dinner Party a success! “Friends and family have helped me organise a high tea and trivia afternoon at my house. “I hosted a wine and cheese platter in my local park, charging each guest per head, and held a raffle draw. Local businesses that I support, donated prizes for my raffle, I was delighted at how generous they were. 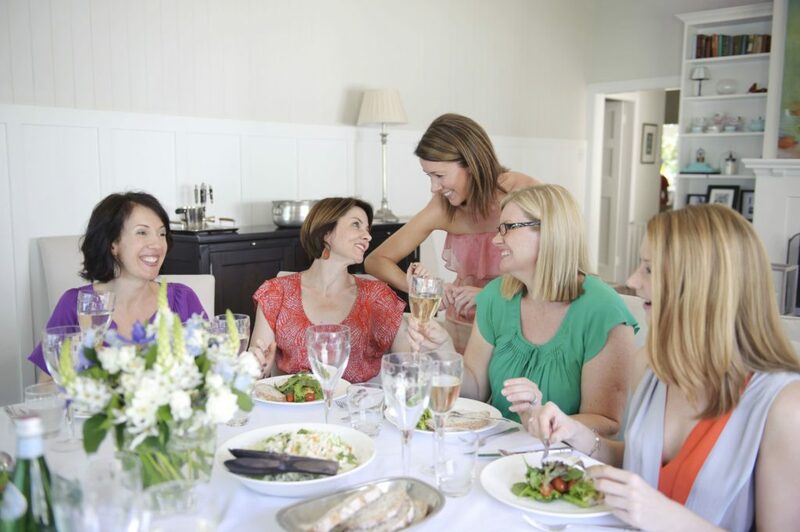 Register to host your Big Dinner Party during the month of March. Getting involved is easy, simply register to host and we’ll be in touch!